On this day in 1994 loyalist gunmen attacked a bar in Loughinisland, Co Down, killing six men watching a Republic of Ireland football match. Now confirmation of security force 'collusion' in the atrocity has sparked a dispute over the words we use to unpick the past. Steven McCaffery reports. 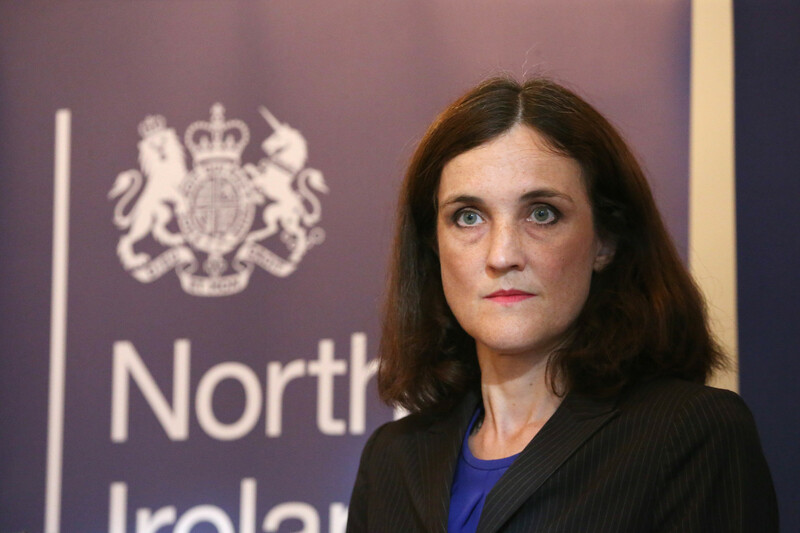 NORTHERN Ireland Secretary of State Theresa Villiers, when challenged on the latest evidence of state collusion with paramilitary killers, agreed that action should be taken over any police "misconduct". It's a word that doesn't seem to cover the full significance of the Police Ombudsman’s report into events at the Co Down village of Loughinisland on June 18, 1994 - where loyalist gunmen sprayed the Heights Bar with bullets killing six innocent men - and where police protected informants, withheld intelligence, destroyed evidence, failed to interview suspects, and had “corrupt relationships” with paramilitaries. Does “misconduct” encompass the wider findings of the report, which linked the state to a loyalist arms shipment used in over 70 murders and to a man whose gang was blamed for 120 loyalist killings on both sides of the Irish border? But the language used to describe responsibility for the violence of the Troubles has always been a political battlefield. Republicans previously defended the murder of civilians by claiming they were casualties of war. The Irish government implied it was merely an observer to the conflict, despite the questions it faced. And over the decades, successive British governments railed against allegations that they were pursuing a policy of collusion with illegal groups to secure a military victory over violent republicanism. It was in this context that four months ago Theresa Villiers gave a speech drawing attention to the bravery of security force members who acted to protect the community. She attacked a “pernicious counter narrative” that was overstating the extent of collusion. 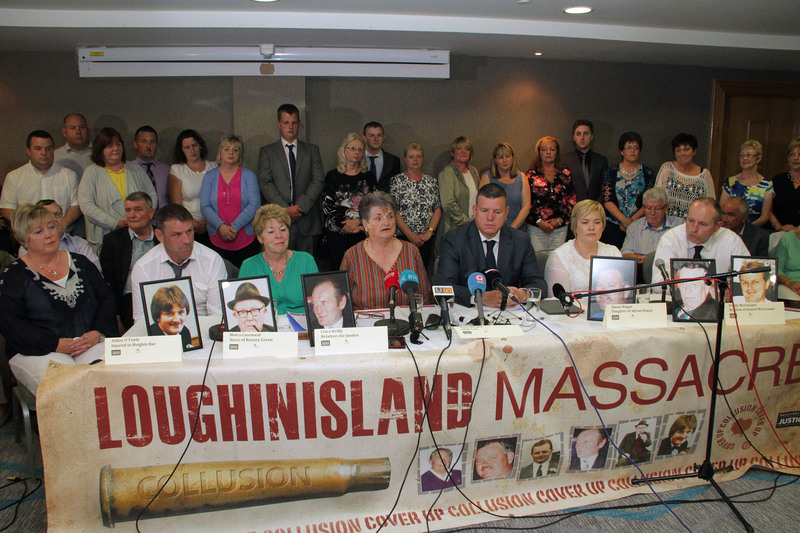 But the families of those shot in Loughinisland had long alleged collusion between police and the killers. They were hurt by her remarks. Following the Police Ombudsman’s report, the vindicated families called on the Secretary of State to retract her comments and apologise. Theresa Villiers told the BBC: “I don’t feel the need to change or withdraw those comments. This is obviously a very serious report from the Police Ombudsman. It is vital that we do everything we can to bring to justice, not only the terrorists who were directly responsible for the massacre at Loughinisland, but also hold to account any police officers who were responsible for the misconduct identified in the Police Ombudsman’s very tough report”. In a further development, Police Service of Northern Ireland Chief Constable George Hamilton said he accepted the conclusions of the Loughinisland report, but wondered why the Ombudsman’s strongly worded findings had not led to charges being brought against police officers? The ombudsman’s office said the "weight of information" around Loughinisland provided an "overall picture that was clear and significant", but that the passage of time, the death of witnesses and the fact that documents were missing made it difficult to bring charges. It confirmed that investigations are ongoing. But the comments from the chief constable, and particularly those by the secretary of state, became the backdrop to a media debate over whether the term collusion had become too wide-ranging. The report on Loughinisland based its definition of collusion on the Smithwick Inquiry which in 2013 linked the Irish Republic’s Garda Síochána police force to the IRA murder of two senior RUC officers in 1989. Smithwick defined collusion as the commission of an act but also an omission or failure to act against wrongdoing - which the PSNI accepted as a "comprehensive definition, properly framed and considered" - and which drew on the collusion inquiries of Judge Peter Cory published in 2004. So, the definition used in the Loughinisland report was not new, nor was its discovery of wrongdoing by security forces. As a journalist who has previously reported on allegations levelled at both the British and the Irish governments, one part of that archive showed that collusion has a long history. The Joint Intelligence Committee (JIC), which provides top level security assessments to the Prime Minister, came to prominence for its role in the infamous dossier on Weapons of Mass Destruction in Iraq. But in 1973 the JIC was considering an altogether different dossier. The UDR, or Ulster Defence Regiment, was formed in 1970 following the outbreak of the Troubles. It grew to become the largest infantry regiment in the British army. It was recruited in Northern Ireland and saw over 250 of its members killed by republicans during the course of the conflict. Many were shot when they were off-duty, often in rural areas, leaving deep scars in unionist communities. But the regiment was regarded with suspicion and even fear by sections of nationalism. The subversion report proved that in 1973 military officials also held concerns, but the evidence they gathered was kept secret for decades. Copies of the documents were discovered more than 30 years later in the Public Records Office in London by campaigners from the Pat Finucane Centre, including a researcher tracing the murder of his father who was killed in a loyalist attack on a bar. The subversion files formed the basis for an extensive journalism project published in The Irish News in 2006 which established a paper trail that led to the heart of government. The secret ‘subversion report' prepared by British military intelligence in 1973 estimated that 5-15% of UDR soldiers at the time were linked to loyalist paramilitaries. The file contained tables collating the loss and theft of UDR weapons, concluding that in 1972 almost 190 semi-automatic rifles, sub machine guns and pistols were lost or stolen from the UDR, with 70 weapons recovered after a stolen batch was abandoned. The subversion report found that the UDR weapons were in the hands of loyalist paramilitaries and said that the “best single source of weapons, and the only significant source of modern weapons, for Protestant extremist groups was the UDR”. 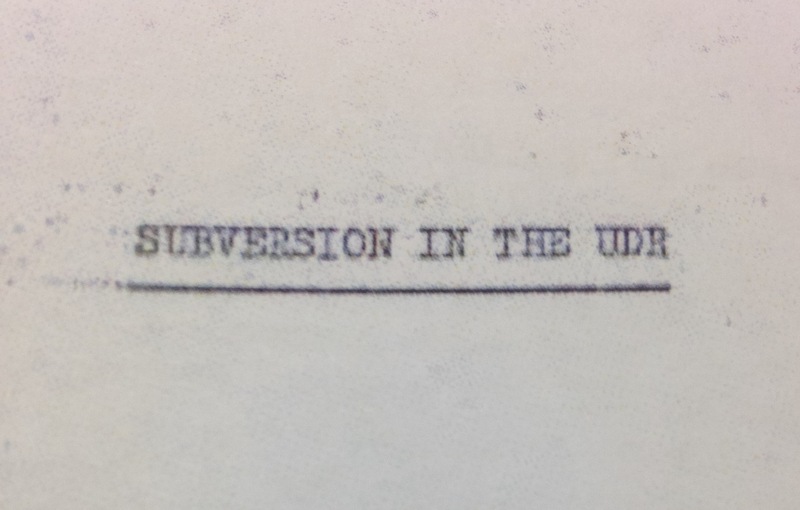 When it came to the leakage of UDR ammunition to loyalist paramilitary groups “such as the UDA and UVF”, the subversion report concluded that it was “almost impossible to estimate the quantities involved”. An annex to the report detailed each of the loyalist attacks, which also included a kidnapping, a drive-by shooting aimed at a group of teenagers, plus a gun and bomb attack on a bar that left one man dead. Other documents confirmed that the secret report did reach the heart of government. A memo from September 1975 detailed a confidential meeting in Westminster where Prime Minister Harold Wilson and Secretary of State Merlyn Rees gave a security briefing to the leader of the Opposition Margaret Thatcher. The memo noted: “The secretary of state said that he was more worried by the current sectarian murders than by bombings in Belfast. "Unfortunately there were certain elements in the police who were very close to the UVF, and who were prepared to handover information, for example, to Mr Paisley. That top-level briefing was held in private. 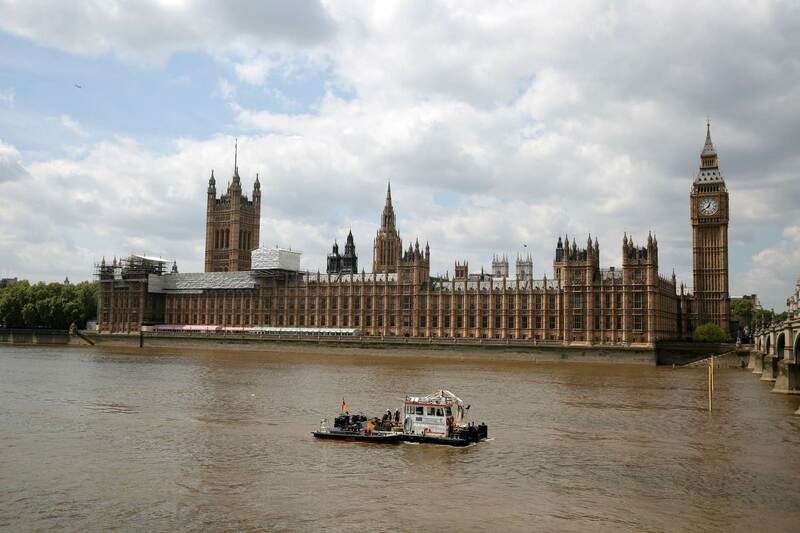 However, additional files showed that when an MP asked parliamentary questions about UDR weapons losses, civil servants were told “collusion was suspected”, but that was withheld in the written answer he received in the House of Commons. In the years that followed, the Westminster government opted to reduce the role of the British army in Northern Ireland and extend the role of the locally recruited UDR and RUC. The past continues to open old wounds for victims across Northern Ireland’s divided community, as reported here and here. The victims of republican groups in particular fear that the existence of government files - and the absence of files from within the IRA - will contribute to an unbalanced view of what happened during the Troubles. Many security force families already feel that their loss, and the huge scale of paramilitary violence, risks being overshadowed. Wrongdoing by security forces doesn't erase the crimes of paramilitaries and there will be disputes over whether state violence or much larger paramilitary violence drove the conflict. But the 1973 documents on subversion in the UDR show that the evidence of collusion and its impact on innocent victims has a long history. It is significant that the 1975 Westminster memo shows that even then, a serving Prime Minister and a future Prime Minister knew about substantial links between state forces and sectarian killers. We can debate whether we describe this as collusion, subversion, or even misconduct. We can demand answers on how and why it happened - but we know it happened. Downing Street has known for decades. SEE also: The Irish government and the Troubles: are they inextricably linked? 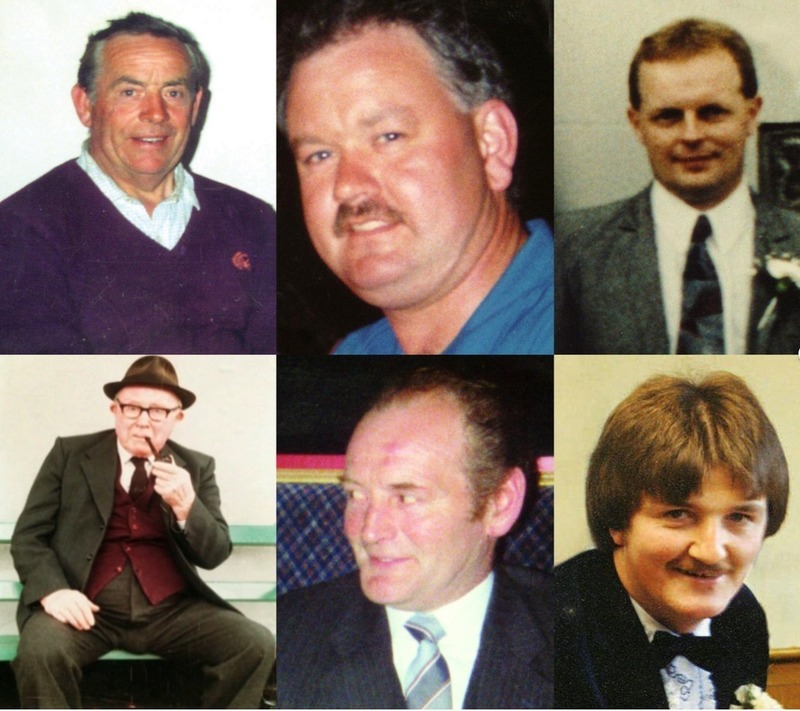 TODAY marks the anniversary of the loyalist gun attack that saw six men shot dead as they watched a Republic of Ireland football match in their local bar in Loughinisland, Co Down, in 1994. After a report by the Police Ombudsman, available here, confirmed there was security force collusion in the case, Steven McCaffery looks at similar revelations from the past. The subversion files formed the basis for a detailed journalism project published in The Irish News in 2006. It established a paper trail that led to the heart of government. The secret British military intelligence ‘subversion’ report from 1973 estimated that 5-15% of UDR soldiers at the time were linked to loyalist paramilitaries. The subversion report found that the weapons were in the hands of loyalist paramilitaries and intelligence officers believed that the “best single source of weapons, and the only significant source of modern weapons, for Protestant extremist groups was the UDR”. Other documents showed that when an Irish nationalist MP from Northern Ireland raised questions about missing UDR weapons, civil servants were told that “collusion was suspected”, but that was withheld in the written answer he received in the House of Commons. An annex to the report detailed each of the attacks, which also included a kidnapping, a drive-by shooting aimed at teenagers playing on a street, plus a gun and bomb attack on a bar that left one man dead. A memo from September 1975 recorded a meeting in the House of Commons where Prime Minister Harold Wilson and Secretary of State Merlyn Rees gave a security briefing to the leader of the Opposition Margaret Thatcher. As the Troubles continued, government opted to reduce the security role of the British army and extend the role of the UDR and RUC. 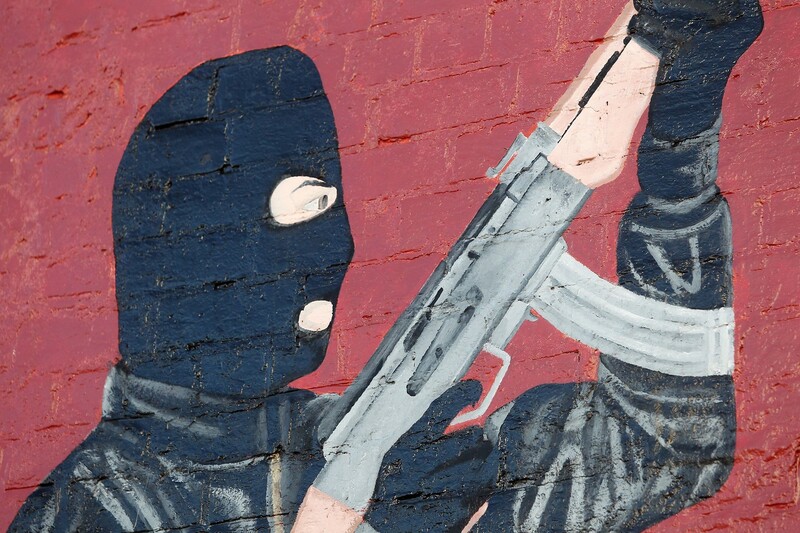 Allegations of collusion and findings of state wrongdoing do not erase the crimes of paramilitaries and there will be disputes over whether it was state or paramilitary violence that drove the conflict. But the 1973-75 documents on subversion in the UDR show that the evidence of collusion and its impact on innocent lives has a long history. It is significant that the 1975 Westminster memo shows that even then, a serving Prime Minister and a future Prime Minister knew about links between state forces and killers. When it comes to the issue of collusion, the memo shows what Downing Street has known for decades.